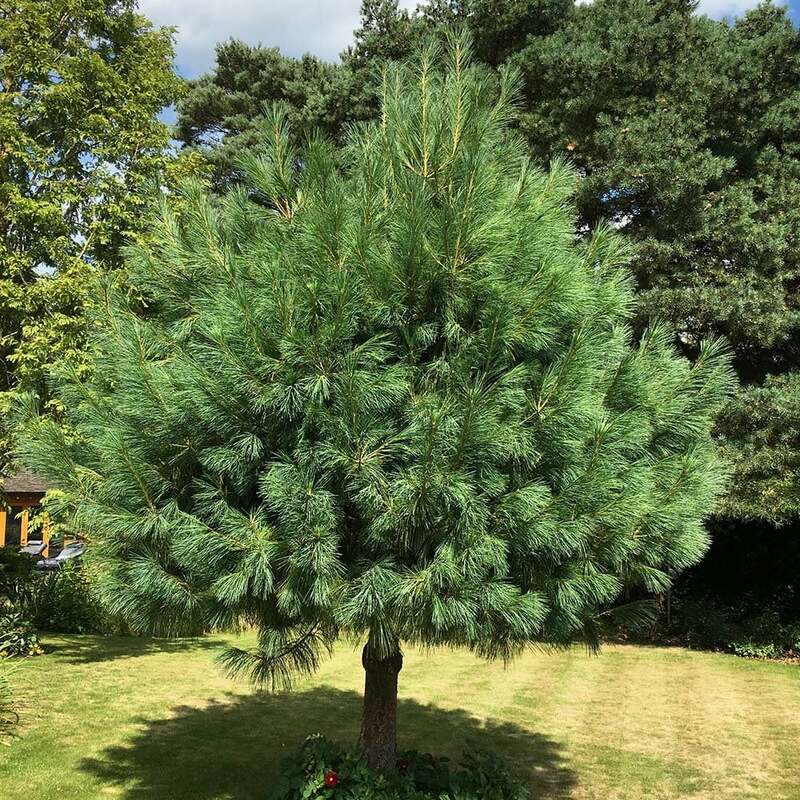 Often also referred to as Pinus griffithii, this highly ornamental tree is a native to the Himalayas and was introduced to the UK during the 1820s. One of the most attractive and desirable conifers it has achieved the prestigious Royal Horticultural Society's Award of Garden Merit in 2002 and the Award of Merit in 1979. During its early life, the Bhutan Pine has a broad conical habit with long, soft, blue-green needles that hang gracefully and shimmer in the breeze. As the tree grows older it will keep its elegant conical shape and can ultimately reach 15-20 meters - although not in our lifetime. Other ornamental value comes from the pendant hanging cones that can reach 20-30cm long on mature specimens. With its elegant evergreen foliage, this magnificent tree will add colour and character throughout the winter months to any garden or open space. Pinus wallichiana grows well on any reasonable free draining soil, is tolerant of lime and extremely hardy.